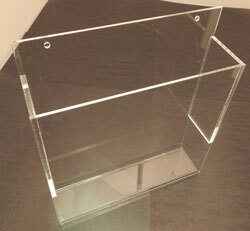 This acrylic hangrail is a very stable and highly resistant to wear and tear damage. The hangrail is very simple to install. The minimal design allows you to easily combine these hangrails to create a custom display area.Flame polished edges help give a nice professional finish.